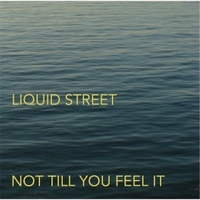 The Liquid Street album is out! It’s been a long time coming, but “Not Till You Feel It” is finally here! Featuring Jason Phelps, Matt Endahl, LaDell Abrams, and Bobby Streng. Posted in Uncategorized | Comments Off on The Liquid Street album is out! Last Thursday, I had the pleasure to travel to Morganton, North Carolina to play with THE CONTOURS. Lots of fun! My friends Takashi Iio, Phil Whitfield and Jimmy Smith were all on the gig as well. Great band! It was my first time getting to play with the group. Saturday and Sunday nights were spent playing with the Temptations! Night #1 was in Elkhart, Indiana. Post gig, we drove through a crazy snow storm all the way up to Green Bay, Wisconsin. Seven and a half hours…. it was brutal. Luckily I had my friend James Hughes sharing a ride with me on the trip. Green Bay was really cold, but people came out in droves to sell out the theater. Always a pleasure to play with such a historic organization – whatever the circumstances might be. Check out this preview of the upcoming Liquid Street album! Great news from the Liquid Street vault. Our debut album, “Not ‘Till You Feel It”, will be out VERY soon! Stay posted for updates. Here is the official and final album track listing! Very slick 90’s rock cover redone by our bass player. This one shines as the single. Challenging original of mine. Liquid Street eats it up. Great rhodes solo by Matt. Jimmy Dorsey tune (!!!!) reworked a la Donny Hathaway. You’d never know the tune is 80 years old! A lament I wrote after a car accident. Written on the same piano that I learned to play on in 1984. Already one of the hardest tunes in jazz, now even harder. Title track. A thoughtful mood swing written by Matt. This Ann Arbor jazz event will feature the five piece Bobby Streng Group. The project combines his loves for arranging multiple colors with the improvisational flexibility allowed in a small group performance. Bobby states: “I love the instrumentation of this group. The versatility is very fun to work with. Having the guitar and piano allows me to often use guitar like a second horn player. The color achieved from a tenor sax and electric guitar unison is well documented in fusion, my favorite being the recordings by Mike Stern. With the five piece, I take that sound and liberally apply it into my own style jazz composition.” That style, seen in his Saxomble and House Big Band, is an instrumental mix of jazz, latin, pop, and funk. The Kerrytown show will see the premiere of new works for the quintet as well as adapted arrangements from Bobby’s recording catalouge. Bobby Streng is a saxophonist, composer, and arranger of all genres of music. When not leading or co-leading his own jazz fusion groups such as Liquid Street, the House Big Band, Saxomble, or the Bobby Streng Group, he can be heard as a member of Walter White and Small Medium at Large, the Paul Keller Orchestra, and as a freelance musician around Detroit and the Midwest. Since 2007, Bobby has enjoyed the privilege of traveling nationally and internationally with the Harry James Orchestra led by trumpeter Fred Radke. This has included multiple tours of the US and Canada, a trip to South America, two consecutive performances at the Montreal Jazz Festival (2009 and 2010), and two double bill tours with the Glenn Miller Orchestra. In addition to his work with HJO, the Jimmy Dorsey Orchestra featured Bobby in the lead alto role of Jimmy Dorsey on a 31 concert tour across the US in 2009. He has also performed with Motown legends like The Temptations, The Four Tops, and The O’Jays. August was a busy month of gigs… Walter White and Small Medium at Large with special guest Alexander Zonjic, The Four Tops, The Temptations, Flint Jazz Festival to name a few. I love the summer months! Just had the privilege of playing bari sax for two great Motown acts: Martha Reeves and the Vandellas AND the Four Tops. This outdoor concert was right across the Detroit River in Windsor – The Carousel of Nations Concert. Both have a great book for bari that treat the horn the way it was intended: low, loud, and often! Martha Reeves had a five horn section. It was a blast sitting in with my friends from the Motor City Horns for this set. They’re amazing players. The Tops boasted a 10 piece horn section, five saxes and five brass. What a sound!